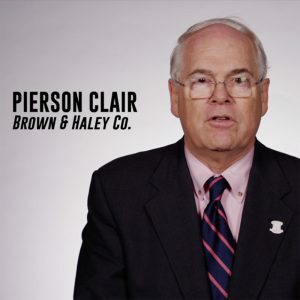 WASHINGTON, D.C. (April 2, 2018) – In a new video released today, Washington-based Brown & Haley CEO, Pierson Clair, joins the chorus of voices calling for reform of the U.S. sugar program. The 105-year-old candy maker and distributor explains why the outdated U.S. sugar program is harming his business and employees. The current sugar program artificially raises U.S. sugar prices to nearly twice the world average. “If I didn’t have to pay for domestic sugar, I would be investing in more equipment, I’d be hiring more people,” says Clair in this new video. Today, American companies are at a competitive disadvantage. The U.S. Department of Commerce estimates that for every sugar-growing job saved through high U.S. sugar prices, approximately three American manufacturing jobs are lost. Brown & Haley isn’t alone in calling on Congress to reform the U.S. sugar program. To hear what others are saying, watch the Alliance for Fair Sugar Policy’s new video series.